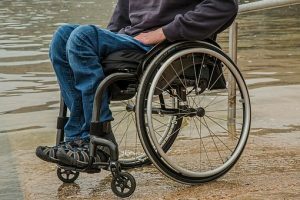 In order to comply with the Americans with Disabilities Act, the agency is not allowed to require a psychological examination until after the employment offer has been extended to the applicant, even though the examination will normally occur prior. The agency can, however, condition the offer of employment on the results of a psychological examinations only if all applicants to whom an offer of employment is made are required to submit to one and the information received remains confidential. If the Civil Service Commission agrees that the the eligible should be disqualified for psychological reasons, it will notify her of her disqualification and her appeal rights. Within 20 days after the agency receives notice of the appeal, it must submit all background information, including investigations and all medical, psychological and/or psychiatric reports upon which the removal request was based to the New Jersey Civil Service Commission (the Commission may extend this time). Failure to submit these documents may result in the request to disqualify the applicant being denied. The appointing authority must give copies of all this the applicant or her attorney or to the applicant’s own New Jersey licensed psychologist or psychiatrist upon request. The time for appeals is very, very short – an appeal must be filed in writing with the Civil Service Commission within 20 days. However, unlike most civil service appeals in which the applicant or employee has the burden of proof, in psychological disqualification appeals, the regulations place the burden squarely on the arguing agency to prove the candidates incapacity. The agency or department has the burden of proving that the candidate “is psychologically unfit to perform effectively the duties” of the law enforcement title or firefighting for which he or she is applying. New Jersey’s Supreme Court set out the factors which the agency has the burden of establishing to prove the validity of the test in the case of Matter of Vey. The Supreme Court explained that the employer is required to establish: (1) the characteristics or traits being examined or measured; (2) how each characteristic or trait being examined is important to the position; and (3)the employer must demonstrate by professionally acceptable methods that the selection device is predictive of or significantly correlated with the element of work behavior identified in the second step. However, because the guiding principle for civil service is merit, the only basis is the candidate’s “unfitness to serve.” Thus, the employer must demonstrate the causal relationship between the personality traits at issue and the candidates unfitness to serve in the position. The applicant can – and absolutely should – submit a report from her own New Jersey licensed psychologist or psychiatrist to the Board, with copies to the agency. The regulations contain quite detailed instructions on what is required to be included in the psychologist’s or psychiatrist’s report. The Civil Service Commission will either conduct a written review of the record and make a decision or submit the appeal to the New Jersey Personnel Medical Review Panel (Review Panel) which is composed of professionals in the psychological field. When the Commission submits an appeal to the Panel, both the applicant and the agency may request the opportunity to appear within 10 days from receipt of notice that the appeal has been submitted to the Panel. If no appearance is requested, the appeal will be reviewed on the written record. After the Panel’s review it will submit a written report and recommendation to the Civil Service Commission. The applicant and the agency receive copies and are allowed to file written exceptions to the Commission within 10 days of receipt of the report, and cross-exceptions within five days after that. The Civil Service Commission can, and often does, refer the applicant for an independent psychological evaluation, and it will often base its final decision off this independent evaluation. If the referral was caused by the inadequacy of a professional report submitted by one of the parties, the Board may assess costs and penalties against the party whose report was delinquent. Our employment attorneys represent New Jersey civil servants, including firefighters, police officers, corrections officers, and other law enforcement officers, in civil service appeals. Call us at (973) 890-0004 or e-mail us to set up a consultation. We can help.